Asia is the world's largest continent by land area and population, home to 4.4 billion people; more than half of the world's population. The continent is too massive and diverse to conceptualize as a single digestible travel "destination". Travel options range widely, from the desert ruins and modern mega-malls of the Middle East to the magnificent ancient monuments and giant mountains in South Asia, from the beach bungalows and jungle treks of Southeast Asia to the mega-cities and technology capitals of East Asia. Asia gets a tremendous number of travellers, both for tourism and business. Many of the world's most-visited cities are in Asia, including Bangkok, Dubai, Singapore, Kuala Lumpur, Istanbul, Tokyo, Seoul, Hong Kong, Taipei, Osaka, Mumbai and Shanghai. Asia offers intriguing destinations for every type of traveller, be they a novice or experienced road-warrior. Easier options include modern, prosperous countries like Japan and the East Asian Tigers of Singapore, Hong Kong, Taiwan and South Korea, where people enjoy very high standards of living. There are also extremely poor Asian countries, where people struggle even to get a few grains of rice each day, such as Cambodia, Afghanistan, Bangladesh, Laos and East Timor. Some countries are well-established on the budget tourist trail, including Thailand, Vietnam and Indonesia, but there are other countries that strictly restrict tourism to certain regions or types of tourism, such as Bhutan and the Maldives. North Korea and Turkmenistan, easily the world's most isolated and repressive states, take it even further, with constantly-watched group tours dedicated to their "great leaders". Of course, there are also many countries lying somewhere in the middle, which is where one might place the emerging powerhouses of China and India; those huge, populous lands make wonderful travel destinations in themselves due to their long history, traditions and diversity. Click a region to explore! Being one of the most closed regions in the world, these countries offer bare, spectacular landscapes and true adventure in the footsteps of Marco Polo. Contrasts of old versus new, the biggest of mega-cities at the front-end of technological development combines with well-preserved temples and sites of the ancient cultures and philosophies still present in everyday society. The vast, open plains of rural China and Mongolia offer something quite different. Home of the first civilizations in the world's history, and the land where the three Abrahamic religions originate, it is now one of the fastest growing regions of the world with increasing development and a rich heritage. Russia covers much of Asia, a huge country of vast, empty expanses. The Caucasus have a reputation of both hospitality and a degree of instability. Geographically these territories have a foothold in both Europe and Asia, and are sometimes referred to as Eurasia. The breathtaking roof of the world that is the Himalayas in the north, tropical, humid waterways in the south, and some lively and chaotic cities to be found in between. Hot and humid, Buddhist monasteries and tropical beaches offer relaxed getaways from the rowdy, bustling cities popular with backpackers. The precise borders of Asia are hard to define: a good guide to the Asia–Europe border is the Ural Mountains in Russia. For cultural and historical reasons, some parts of the Caucasus are considered European. The Bosphorus bisecting Istanbul is also regarded as the border between Asia and Europe. Sinai is geographically in Asia but politically a part of Egypt. And at the other side, the continental plate of Australia also includes parts of Indonesia, which is generally counted as part of Southeast Asia. 39.905116.391388888892 Beijing—capital of the People's Republic of China with Tiananmen Square, the Forbidden City, and many cultural sights. 18.96666666666772.8333333333336 Mumbai—most diverse, busy and cosmopolitan city of India, known for its nightlife and well known as the home of the entertainment industry. These are some of the largest and most famous destinations apart from major cities. See also UNESCO World Heritage List#Asia. Asia is the birthplace of ten major religions: namely, Hinduism, Buddhism, Islam, Christianity, Judaism, Sikhism, Shintoism, Taoism, Jainism and the Bahá'í Faith, not to mention countless other tribal faiths. It is also home to the world's fastest growing cities, a wide range of exotic cuisines, the world's highest mountain ranges and some of the world's most ancient cultures. Asia is by far the largest continent and as such is extremely varied geographically. Asia contains virtually every possible climate and terrain from the frozen plains of Siberia to the jungles of Indonesia to the deserts of Arabia. Asia's (and the world's) highest point is Mount Everest, along the border of Tibet and Nepal, which rises to 8,848 m (29,029 ft) above sea level. Its lowest point is the Dead Sea, located at the meeting points of Israel, Palestine and Jordan, whose surface is 400 m (1,300 ft) below sea level. Asia's longest river is the Yangtze, which runs 6,300 km (3,900 mi) through China all the way from the high Tibetan Plateau to Shanghai. Its largest lake is the 386,400 km² (149,200 square mile) Caspian Sea, which is surrounded by several Central Asian nations. Asia is bounded by the Pacific Ocean to the east, by Australia to the southeast, and by the Indian Ocean to the south. It is bordered by the Red Sea to the southwest, by Europe and the Urals to the west, and by the Arctic Ocean to the north. East Asia (China, Japan, Korea) is relatively temperate with distinct seasonal differences. South and South East Asia (Thailand, Indonesia, India, Burma etc.) has a monsoon climate. Generally hot all year round but with a wet and dry season. Most of Asia's rainforests and beaches are to be found here. West Asia (Iran, Saudi Arabia, Lebanon etc.) is hot and often dry. Winters can be mild but summer can be extremely hot. Central and north Asia have continental climate with the coldest winters outside Antarctica and hot summers; in some places the difference between all-time highs and lows can be over 100°C. The history of Asia is long, complex and diverse enough that some universities have whole departments devoted to it and a full account would be a multi-volume work. Even a reasonable summary would be much more than a travel guide could sensibly attempt. Most of our country articles, and some region or city articles, include summaries of the relevant history. Consult those for basic information, or see Wikipedia, other sites, or a library for more detail. Most Wikivoyage articles include a link to the corresponding Wikipedia article; it is found in the menu to the left of the text. All the UNESCO lists — World Heritage, Intangible Cultural Heritage, Biosphere reserves, Geology parks and Creative Cities — include sites in Asia. It is possible to travel throughout much of Asia with the English language. Some countries place English very highly as an official spoken language (Singapore, Philippines, India, Sri Lanka, Pakistan, Bangladesh, Brunei) whereas others require English language instruction at school (Malaysia, China, South Korea, etc.). Elsewhere, English proficiency is rudimentary at best. Please refer to the guide for individual countries for how well you are likely to fare. Semitic - Arabic is spoken in Arab countries throughout the Middle East and Hebrew is spoken in Israel. Iranian - Persian, Pashto, Tajik, and Kurdish are widely spoken in the Middle East and Central Asia. Dravidian - A distinct language group of South Indian languages including Tamil, Kannada, Malayalam and Telugu. These are actually not related to the north Indian languages such as Hindi and Urdu. Sino-Tibetan - The Chinese languages (Mandarin, Cantonese, etc. ), Burmese, Tibetan and Dzongkha, as well as some regional languages in North-Eastern India. Tai–Kadai - Thai and Lao are spoken in Thailand and Laos respectively. Austronesian - Malay and Indonesian are mostly mutually intelligible. The languages of the Philippines — the most important are Tagalog and Cebuano, but several others are also in this group. Other Austronesian languages are spoken in Madagascar, throughout the Pacific islands, and by the Taiwanese aborigines. North-East Asia has a few significant isolated language families not related to others including Korean, Japanese and Mongolian. Georgian is another example. Asia's busiest airports include Hong Kong (HKG IATA), Dubai (DXB IATA), Beijing (PEK IATA), Singapore (SIN IATA), Kuala Lumpur (KUL IATA), Bangkok (BKK IATA), Seoul (ICN IATA), Tokyo (NRT IATA, HND IATA) and Jakarta (CGK IATA). If you're heading to anywhere in Asia, chances are that you'll pass through at least one of these airports whether in transit or as a final stop. Fortunately for those with long transit times, they are some of the best equipped airports in the world, known for their efficient service and ample distractions. Additionally, Shanghai (PVG IATA), Guangzhou (CAN IATA), New Delhi (DEL IATA), Mumbai (BOM IATA) and Chennai (MAA IATA) are major hubs for travel to China and the Indian sub-continent. For the Middle East, Doha (DOH IATA) and Abu Dhabi (AUH IATA) also have reasonably good connections. If you are coming to Asia by train, you'll likely be coming in through Russia or Turkey, although other options may exist. For an interesting experience, try the Trans-Siberian Railway, or alternatively some of the lines from Moscow to Central Asia. Asian ports are cruise destinations, and various companies such as Royal Caribbean and Princess run cruises from Australia, while Holland America travels across the Pacific from North America. Freighter travel is another option, including if you wish to travel to ports in the Asian part of Mediterranean. Coming from Africa sea piracy is a threat to take seriously. Piracy in the Strait of Malacca has declined, but may still be relevant. As the Bosporus is considered to be the boundary between Europe and Asia, one of the various ferries in Istanbul can also get you into Asia. Some cities, including Yekaterinburg and Istanbul are built across what is commonly considered the dividing line between Europe and Asia and you can comfortably walk across that line if you are in the city already. Air travel is a good mode of transport between this large region's many travel destinations. Fares are lower on average than in Europe or America, and low-cost airlines in Asia are rapidly expanding their networks particularly in Southeast Asia. In addition, Asia is also home to some of the world's best regarded full service airlines, such as Singapore Airlines, Hong Kong's Cathay Pacific, South Korea's Korean Air and Asiana Airlines, Japan's All Nippon Airways (ANA), Taiwan's EVA Air and the big three Middle Eastern airlines Emirates, Qatar Airways and Etihad Airways, which make good options for those willing to spend some extra money to fly in relative comfort with better service. Ferry services connect China, South Korea and Japan in East Asia. There are also very many international and domestic ferry services for the island nations in South East Asia including the Philippines, Indonesia, Singapore and Malaysia. There are highly developed train networks in India, China, South Korea, Taiwan and Japan, as well as less developed services throughout South East Asia. Most of these countries, but especially China have also been investing a lot in high speed rail, and even for longer distances trains might be a worthwhile option not only in terms of views and comfort but also in terms of price and speed, especially if you figure in the time and money saved while you sleep on sleeper services. In Russia and India, big parts of the country are mostly served by slow rail and it is a superb way to get into contact with locals (bring a phrasebook) or just see the country pass by the window. China and Japan are expanding their high speed networks, with China even planning to build international links to South East Asia and possibly North or South Korea. South Korea's relatively young network of high speed lines is also planned to expand within the next decades, however due to the political situation, international links are unlikely in the immediate future. As Asia has a high population density in many places and new road construction has not always kept up with growing traffic, congestion is a major problem, especially in urban centers. That being said a car is often a good and sometimes the only way to explore more remote areas. Keep in mind that bringing a car might necessitate a number of forms and permits; you will probably need an international driving permit and for some countries a Carnet de Passages for the vehicle. Mainland China (excluding Macau and Hong Kong) does not accept international drivers licenses. If you want to go to or through China by car, you need to either obtain a local drivers license or hire a driver; see Driving in China for details. Many places have taxis, many of the major cities have good Urban rail or bus systems, it is possible to walk or bike in some places, and some travellers will get around mainly on tour buses. While Japan has had world class (if expensive) urban rail for decades, China but also some more unlikely countries have followed suit and are still expanding and improving vast light and heavy rail networks. Where those exist they are usually the best option for tourists and locals alike. However in many places other options are available as well, and often these are what the locals mainly use. If "When in Rome, do as the Romans do" is part of your travel philosophy, then you should definitely consider these. In much of Asia there are various sorts of truck modified to carry passengers, jeepneys in the Philippines, songthaew in Thailand, or similar vehicles elsewhere. In many places there are also pedal-powered or motorcycle-based tricycles, see Thailand#Tuk-tuk, Philippines#By_tricycle or India#By_auto-rickshaw. Some areas also have motorcycle taxis (habal-habal in Filipino). These are too risky and uncomfortable for many travellers, but some like them. While all continents have a huge number of things to see, what sets Asia is apart is the incredible variety of things to see. From the desolate Siberian tundra and taiga in the far north to colorful Indian street scenes, from ruins along the Silk Road to glitzy, futuristic metropolises and from the camels in the Arabian Desert to the Komodo dragons roaming the jungles of Flores, it is safe to say that Asia has something for everyone. Stretching from the Arctic all the way beyond the Equator, Asia is home to virtually every kind of climate and ecosystem that exists in the world and a corresponding number of different plants and animals. Almost all parts of Asia feature iconic animals, such as pandas, brown bears, tigers, monkeys, elephants, crocodiles, camels, and birds – though many of them are threatened in the wild. While north and central Asia is part of the palearctic region, south and southeast Asia makes up the Indomalayan region. There is also no lack of amazing landscapes either. Vast boreal forests cover the northern part of the continent interspersed by some of the longest rivers in the world. Further south, Asia is dominated by an enormous system of mountain chains reaching from the highlands of Turkey across Iran, Pakistan and Central Asia into China where it forks into a northern section including the Altai mountains and continuing all the way through the Russian Far East, and into a more southerly section including Himalayas, which feature the world's highest summits, and then the highlands of Southeast Asia. Many mountains in the easternmost parts of the continent are volcanic, and Indonesia and Kamchatka are indeed great destinations for volcanic tourism. Central Asia features steppe, which turns into desert when traveling south, and if you've always wanted to experience a desert environment, the Middle East is definitely a good choice. Another large desert is the Gobi at the borders of Mongolia and China. Finally, tropical Asia covering a part of East and most of South and Southeast Asia, where not cultivated or urbanized, is dominated by various kinds of tropical forests and thousands of beaches ranging from secluded paradise islands like the Maldives to some of the world's most popular beach resorts in Thailand. Home to more than half of the world's population, the birthplace of all major world religions and using all the most widespread writing systems in the world, the different peoples and cultures you may encounter on this continent are likely even more varied than the landscapes. Almost all regions of Asia have ruins of some of the oldest civilizations in the world, often stretching back several millenia. The Holy Land of the Abrahamic religions can be found in the Middle East. Similarly, the Indian subcontinent is the wellspring of Hinduism and Buddhism, and East Asia of Confucianism and Shintoism among others. Asia also bears witness to the spread of the great religions in the form of amazing religious architecture, including the ancient tombs and houses of worship in Angkor Wat, Borobudur, Samarkand, the Taj Mahal and countless thousands of others. There are also other kinds of historical sites such as the Great Wall, Petra, Ayutthaya and the royal and imperial palaces of both present and past dynasties. Even in the latter case the royal traditions may be experienced as in the royal change of guards at the Gyeongbokgung Palace in Seoul. The ruins of St. Paul's Church in Macau, which shows the contrast between colonial architecture and the rapid development occurring in much of Asia. Colonial influences aren't as prominent as in Africa, the Americas or Oceania, but this doesn't mean that they aren't there. Virtually all of South and Southeast Asia were for centuries ruled by various European empires who introduced things like western architecture and foodstuffs (some of it from the Americas), as well as Christianity, European languages and the Latin alphabet. We should not forget Russian Asia as well as Central Asia which was part of the Russian Empire and the Soviet Union for a century and a half. 20th- and 21st-century history, though for much of Asia featuring many wars and other sad things, are also present in memorials and museums. Finally if you want to plunge into modern cities with most the world's tallest buildings, glass, steel and huge LED-screens, extensive and modern transportation systems, and entertainment and amusement centers, Asia is the place to go too, especially the Gulf States and East Asia. The Asian Games are an international multi-sports games similar to the Olympics, albeit with participation restricted to Asian countries, as well as some dependent territories in Asia. The games were first held in 1951, and following that were held every four years starting from the 1954 games, two years apart from the Summer Olympics, and feature all Olympic sports, as well as several non-Olympic sports such as tenpin bowling, wushu and squash. The previous edition of the Asian Games was held in Jakarta and Palembang, Indonesia in 2018, while the next edition will be held in Hangzhou, China in 2022. Cruise between the dramatic limestone Karsts, islets and islands, in the emerald blue sea of Ha Long Bay. Experience the architecture of the Taj Mahal Agra in India. Dive in a crystal blue sea in Bunaken, Indonesia to see a colourful coral reef and it's wide variety of tropical fish. Climb Mount Everest, the highest point of land on earth (Nepal) or K2, second highest, in Gilgit-Baltistan. Explore Borneo, an island divided between Indonesia, Malaysia and Brunei that contains one of the oldest rainforests in the world. Climb Mount Bromo, Indonesia, an active volcanic mountain that has an amazing scenery during sunrise. Take a Tour to Yogyakarta, Indonesia's Cultural hub, and gateway to see the magnificent Buddhist temple Borobudur and Hindu temple of Prambanan. Explore Lake Toba, The largest volcanic lake in Indonesia and the world. Visit Lombok, a popular island east of Bali, with its beautiful white beaches and famous Gili Trawangan island and Mighty Mount Rinjani located in Indonesia. Asia has a huge number of dive sites from snorkeling to scuba, with much interesting undersea life and quite a few wrecks. For details, see Scuba diving#Asia. Visit Cox's Bazar, the longest sea beach in the world, and Sundarbans, the largest mangrove forest of the world, in Bangladesh. Watch anime and manga in Japan. Go shopping for Persian rugs in the Central Asian bazaars. For the experienced traveller, visit the world's two Stalinist countries, Turkmenistan or North Korea on a guided tour. Gamble in some of the world's largest casinos in Macau. Experience the old Silk Road caravansarais like Samarkand in Uzbekistan. Relax on a beach in the Maldives. Visit the Holy Land in Israel and Palestine. Ride the Trans-Siberian Railway from Moscow to Vladivostok and experience Siberia from the comfort of a traincar. Travel through the Asian cradles of humanity, in the Indus River Valley, Yellow River Valley, and Mesopotamia. Asian cuisine is incredibly diverse, from Turkish kebabs to Arabic pita bread to Indian curry and Chinese noodles, there is really no shortage of different food that you can try. Rice, in its many varieties, is a very common staple throughout Asia. Street food is also available almost anywhere in myriads of variations. Southeast Asia offers a great variety of tropical fruit and wonderful food at inexpensive prices. 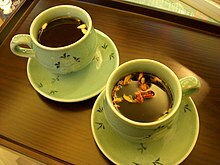 Tea is the most common beverage, especially in both South Asia and East Asia. In tropical areas, enjoy fresh fruit and coconut juices. Fresh sugar cane juice is readily available in many cities in India. It can be served plain or with ginger and lemon. In some areas, fresh water and clean drinking water may not easily be available. Yoghurt-based drinks are common in some areas, lassi in India and Pakistan and doogh in some western parts of Asia like Iran and Armenia. Alcohol is widely available throughout North, Southeast and East Asia. Often the larger cities or tourist areas have a modern nightlife scene. Alcohol is illegal in some parts of India and in some countries in the Middle East. While beer is commonly available in the countries that serve alcohol it often uses rice as the basic grain which affects taste somewhat. Another common beverage - especially in Japan, Korea and China - is "rice wine" (closer to beer as it contains more starch than sugar) sold and produced under various names and in with a range of variations on the basic recipe. Depending on where you are everything from a tent with only the most basic facilities (if any) to a full blown five star hotel is available. Prices tend to reflect that. Due to the vast size, safety in Asia varies wildly. It is a safe place in general and most tourist attractions on the continent are far from conflict, There are, however, some regions in which conflict and/or general lawlessness exists. The most obvious examples are Afghanistan, Syria, Yemen, and big parts of Iraq. Afghanistan's government controls only parts of the country and also Iraq is in a state of continued armed conflict. There are full-scale civil wars in Syria and Yemen. These countries are considered no-go areas and should be completely avoided by travellers (if one absolutely must go, consult War zone safety and the authorities of your country before you go). Although much of the Middle East can be visited without any major risks, it is known for its political tensions and there are no-go areas, for the moment especially Syria. The Gaza Strip is at times a war zone between Palestinian factions and the Israeli army, and kidnappings of foreigners have occurred. Israel has coped with missile attacks as well as suicide bombings by radical militant groups, such as Hamas and Hezbollah, but mostly in areas close to the Gaza Strip and Lebanon (and attacks from Lebanon happen only occasionally), and by far the biggest threat in most of the country is from dangerous drivers. Lebanon and the West Bank (Palestinian National Authority) generally cope with an unstable political situation and internal conflict. Some regions of the Caucasus are considered dangerous due to active insurgent groups, particularly the North Caucasus (Chechnya), Abkhazia and South Ossetia. Bahrain has experienced some political violence in the past, so check on current conditions before you go. More dangerously, Pakistan is active in a full-scale war in Khyber Pakhtunkhwa and the Federally Administered Tribal Areas, both of which should not be visited. Kashmir, claimed by both Pakistan and India, is also a region with tens of thousands of casualties since 1989 due to political strife and insurgency. In 2009, the Naxalite-Maoist insurgency in India has resurfaced, particularly in Chhattisgarh and other parts of Eastern India. Northeastern India also copes with dozens of insurgent groups, some of which have armed factions. Southeast Asia is a major travel region and most of it is perfectly safe to visit. A notable exception is East Timor, which continues to face sporadic internal ethnic and political tension and related violence may occur. But even in some popular countries, there are some areas that should be avoided. The Autonomous Region in Muslim Mindanao in the south of the Philippines was an area of conflict between the government and the Muslim separatist movement but it should now end because of the preliminary peace agreement signed in Manila in 2012). The rest of the country, specifically Luzon and the Visayas, are very safe, just like the rest of Mindanao (including the Davao and Cagayan de Oro areas). Thailand, the most visited country in Southeast Asia, is generally safe with the notable exception of four deep southern provinces, where fighting between the Thai military and Islamic insurgent groups still continues, though tourists are rarely if ever the targets of violence. Indonesia is a very diverse country, with armed groups fighting for independence in Papua, while Maluku is relatively safe now. East Asia is probably the safest area in the continent, but political tensions also exist in this region. You should be aware that North Korea and South Korea are still officially at war and hostilities could in theory resume at any time, although the border between them is still a worthwhile tourist destination in its own right (check current situation if you plan a visit). China, a vast and diverse country, is a relatively safe destination, yet the restive provinces of Tibet (and its accompanying counties and prefectures in neighbouring provinces) and Xinjiang still often bar foreigners at any hint of trouble. Refer to the specific country pages and the authorities of your country for more information. As a precaution, always know the address of embassies, and notify in case of any issues faced. Being the largest continent by far, practically every thinkable natural disaster is a risk at least somewhere in Asia. The area approximately along the Silk road plus the countries bordering the Pacific are prone to earthquakes. Especially in South and Southeast Asia monsoon rains often result in massive floods. Tropical storms (typhoons and cyclones) are a risk in much of tropical Asia during Northern Hemisphere summer and autumn. Smog and dust storms often occur especially in the northern part of China, making it very unpleasant for people with breathing difficulties. Many areas of Asia, especially Southeast Asia and South Asia, are humid tropical, and there are health risks attached to travel in those regions. See tropical diseases and the country articles for specific information. Parts of Asia, such as Mongolia and Siberia, have extremely harsh winters. See cold weather and country or region articles for details. In some areas, such as Tibet, travellers will need to take precautions against altitude sickness. Some of the world's best internet connectivity is to be found in parts of Asia, with extremely fast speeds in South Korea, Japan, Singapore and many other countries on both fixed line and mobile. Conversely many countries also lag behind, and connections may be hard to come by. Censorship is a big issue for connectivity in China and North Korea, where many websites and social networks are actively blocked from use. This continent travel guide to Asia is a usable article. It has information about the continent, as well as links to several destinations. An adventurous person could use this article, but please feel free to improve it by editing the page.